9 to 5 the Musical is based on the 1980's film of the same name. Prepare to be transported back to a time where the world was dominated by men, and women were hired based on looks. Three very unhappy employees come together to seek revenge on their sexist, egotistical, lying, hypocritical boss - Franklyn Hart (Ben Richards). Ambitious and feisty office manager Violet Newstead (Jackie Clune) is struggling to climb the career ladder with more hindrance than help from Hart. Newstead's portrayal is strong and really brings gumption to the role. Natalie Casey's comedic timing is spot on playing office newbie Judy Bernley. Judy is recently single from her cheating husband, and has had just about enough humiliation from men. Although Casey doesn't have the strongest vocals of the three, her performance of 'Get Out and Stay Out' will pull at your heart strings. Amy Lennox adopts the role of Doralee Rhodes - who is sick of being Hart's eye candy - with ease. Lennox is able to channel the sass of the character, made famous by Parton in the movie, without imitation and her performance of 'Backwoods Barbie' is a highlight. Bonnie Langford was the surprise of the night playing Mr Hart's most loyal employee and secret admirer Roz. Although her role is small she makes the biggest impact and shows her wealth of theatre experience during 'Heart to Hart', a number where Roz confesses her love for her boss. The set design whilst multifunctional, just didn't seem to work. The move from one scene to another was clumsy and often involved the actors having to wheel set pieces on and off stage when required. 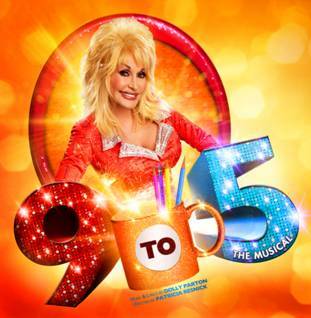 9 to 5 is at the King's Theatre until 17th November and returns in 2013 from 8th -12th January. Visit www.atgtickets.com/Glasgow for tickets and information.